Triangle Area Real Estate helps relocating buyers figure out what is the best area, neighborhood and home for them. The Triangle is a huge area and it’s confusing especially if schools are important. Our focus areas are Cary, Apex, Holly Springs, Chapel Hill, Carrboro, Hillsborough, Raleigh, Durham and Chatham County. One thing that set us apart from other buyers agents is a deep knowledge of new construction as well as resale homes. Read “Why You need a Buyers Agent for New Construction”. In North Carolina there are 3 kinds of real estate agency. Buyers agency, sellers agency and dual agency. Here is a link to the NC Real Estate Commissions brochure explaining agency. All buyer and seller agents are required to explain agency and give you this brochure at first substantial contact. Briefly, a buyers agent has your best interest in mind and the sellers agent has the seller of the homes best interests in mind. A dual agent represents both the seller and buyer and is basically a transaction manager because a dual can’t disclose any confidential information or give negotiation advice. I get paid by the seller when you close on your home! If you’ve bought and sold homes in the past you may already understand how buyers agents get paid but I thought I would go ahead and explain. I always hate wondering about things like this so I thought it would be helpful. -The seller has a listing contract with a real estate brokerage company to pay a fee for selling the house. It’s negotiable but typically 5-6% in the Triangle. -My commission is already included in the price of the home so you don’t save money if you are not represented by a buyers agent. Some real estate companies have a separate buyer paid fee at contract or closing. Usually $200-$500. My company does not charge a buyer fee. Sellers who sell their home by owner (FSBO) will usually pay the buyers side of the fee (2.5%-3%). If the for sale by owner is listed in the MLS (they usually are),I am guaranteed that a fee will be paid, if it’s not the going rate I will tell you before I show it. If you would like to see a FSBO that isn’t listed in the MLS let me know. I’ll call for an appointment, and have the seller agree to pay my fee and sign a compensation agreement before I show you the home. Some real estate companies have a separate buyer paid fee at contract. Usually $200-$500. My company does not charge a buyer fee. What is the best neighborhood for you and your family? What is the best Triangle NC neighborhood? 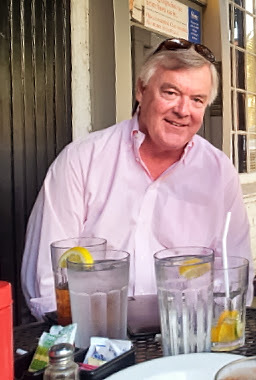 My husband Chip is from Raleigh and is a commercial contractor and real estate broker. He is co-owner of Triangle Area Real Estate. Chip works with me often especially for clients interested in homes Inside the Beltline in Raleigh. He grew up there and is very knowledgeable about Raleigh residential and commercial real estate. He has put together a great Raleigh website. What’s have to have and good to have. Are schools important and ages of children. Size of home, bedrooms, baths, playroom, offices. Price range. Even if you aren’t sure give me a range. It’s helps me to have a basic idea of what you think you want. Usually, I’ll ask lots of questions because info about where you live now and where you have lived previously as well as maximum commute time and favorite family activities help me to get to know you. The Triangle is definitely not a one size fits all area. I’ve helped clients find a home and neighborhood in a day and with one client it took four years! The time it takes often depends on your time frame. If you are in town interviewing, I’ll spend an afternoon showing you around so I’ll have a good idea of what you like and dislike to make the most of your home buying trip if you decide on the job. Do you know you are moving to the Triangle? If you are moving to the Triangle and have a specific time frame to find a home let me know about your visit and the dates you will be available. I’ll block the time off on my calendar and work with you as a buyers agent to give you all of the time you need to make a decision. Everyone is different so just relax and see what you need to see until you feel comfortable about the area and homes. I can help narrow things down for you quickly so you can focus on the best options for you. If my calendar is full on your visit dates, don’t worry. I’ll enlist Chip and and we’ll work it out. Retiring to a new home. Builder walk through. If you are considering the Triangle as a possible retirement spot, I’ll be happy to spend an afternoon showing you around to give you information to base your decision on. Based on how you respond to what we see I’ll suggest other areas and activities to help you get familiar with things to do and help you make the right decision. I am compensated by the seller through an agreement with the MLS and the listing agent. This is typically 2.5%-3%. Sellers who sell their home by owner (FSBO) will usually pay the buyers side of the fee (2.5%-3%). If you would like to see a FSBO let me know. I’ll call for an appointment, have the seller agree to pay my fee and sign a compensation agreement before I show you the home. In NC, Real Estate Companies don’t pay any salary or provide benefits. Agents pay their own expenses and MLS fees. That’s one reason why a buyer agency agreement is important. It also spells out the agents duties to the buyer and the buyers duties to the agent. The agreement can be verbal before the time of contract ( I’m required by the real estate commission to have a written agreement before the time of offer). It’s important for me to know that if I am spending my time with you are sincere about buying your home from me. So let’s meet, get to know each other and talk about it. If we have a good fit let’s go find the best home and neighborhood for you! Here is a copy of the NC Buyers agency agreement that I will ask you to sign before I write an offer for you. Please just ask if you have questions, these real estate forms get longer every year. Thanks for reading all of the way to the end! I hope you will come for a visit!